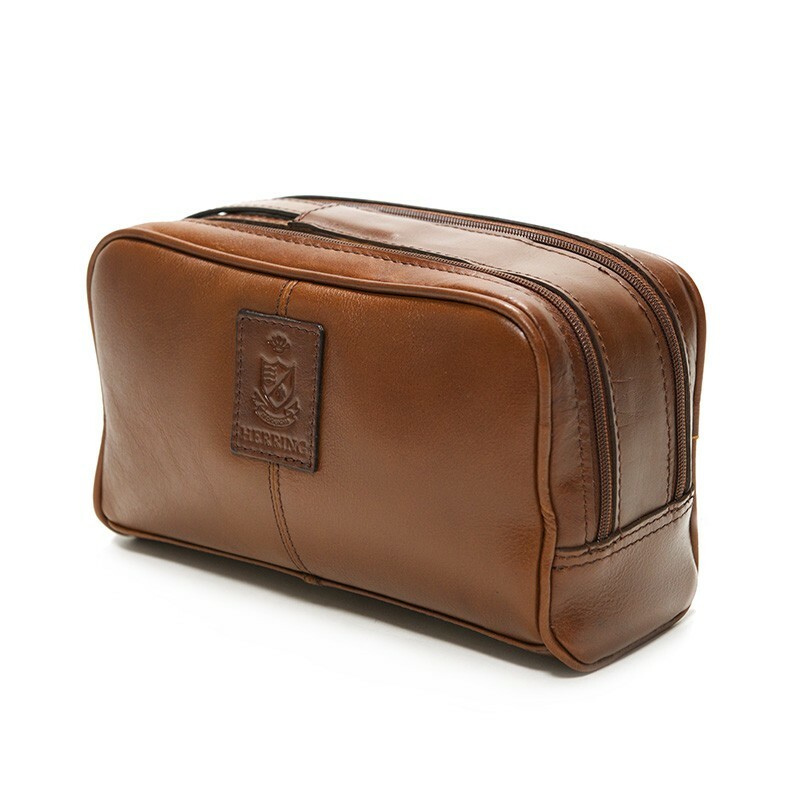 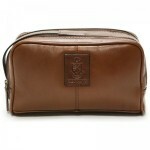 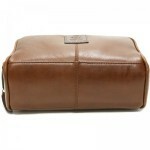 This wash bag is made from a premium leather. 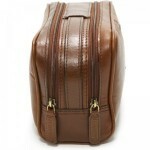 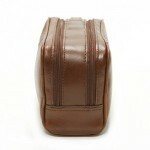 It features an integrated handle to make it easy to carry and two large zip compartments. 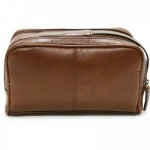 One compartment has a zip pocket, the other has two sewn in pockets.